This was originally posted on the Historians@Bristol blog, but I thought I would re-post it here as a fitting addition to our ‘Marooned on an Island Monographs’ series (or ‘Moaims’ if you’re into your acronyms) as minds begin to turn to summer reading options. You can check out the other suggested reading lists in this series here. Despite growing up just outside the city of Bristol, in nearby Portishead, my knowledge of the city’s history is pretty thin (my excuse is that I’ve always considered myself more of a rural historian). So, when I was appointed to my Lectureship at the University of Bristol last summer I quickly took to twitter to canvas for suggestions of good books to fill me in. Now, I haven’t had the chance to read all of these yet, but I thought I would share the top 5 suggestions that I have narrowed my initial to-read list down to. Of course, my choices reflect my own interests – both chronologically and thematically – so there is a strong early modern and ‘history from below’ flavour to the list. 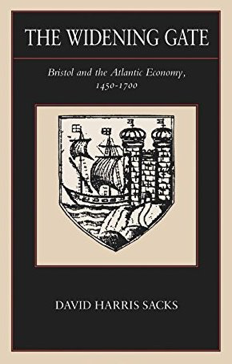 The story of Bristol’s transformation from a small medieval commercial city to an entrepot of early modern capitalism is, obviously, an important part of the city’s history – and Harris Sacks’ book is admired for approaching it in a way that identifies the connections between the economic, religious, political, social and cultural developments that made it possible. It’s big, it’s bold, and very much a traditional academic monograph, so it might not be the easiest place to start for uncovering Bristol’s history, but it is regarded as the go-to history of early modern Bristol – even if my colleague Richard Stone’s forthcoming book is set to challenge some of its key arguments (watch this space). Bristol’s emergence as a major port city was in no small part a consequence of its involvement in the slave trade, and much of the city’s urban growth and built environment were funded by the profits of slavery. Although a number of more recent debates about prominent buildings in the city being named after individuals with strong links to slavery have achieved a high profile, the place of slavery in the city’s history has long been overlooked. 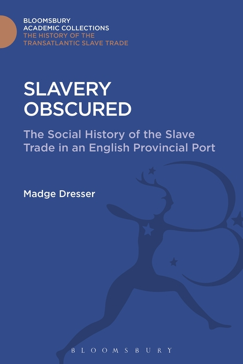 But the research efforts of Madge Dresser have done as much as anyone to change that, and this important book provides a detailed account of Bristol’s relationship with slavery that is a must-read for anyone who wants to make an informed engagement with these debates. 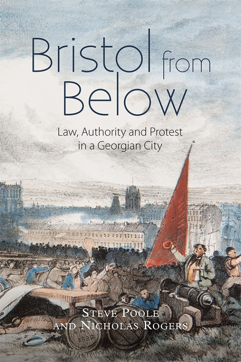 As an unashamed advocate of ‘history from below’ I was very excited to hear about the publication of this book within a few weeks of my arrival in my new post. Poole and Rogers focus on the city’s ‘golden age’ between the Restoration and the riots of 1831, and explore the way that ordinary people contributed to the making of their city – often through conflicts with the mercantile elite that formally governed the city. Riots, protests, class conflict, the lives of ordinary men and women – it’s the kind of classic social history that any social historian wants to read about the place where they live and work. 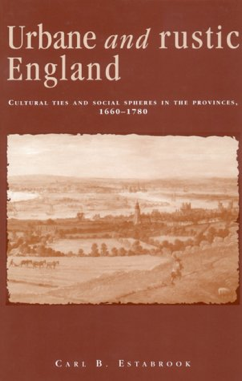 4) Carl B. Estabrook, Urbane and Rustic England: Cultural Ties and Social Spheres in the Provinces, 1660-1780 (1998). A bit of a curveball here – this is a work of historical fiction. But these too can help us to connect with the history of our homelands, right? Set during the early 1790s, against the backdrop of a Bristol house-building boom and the fallout of the French Revolution, Lizzie Tredevant negotiates married life and the loss of her radical writer mother. 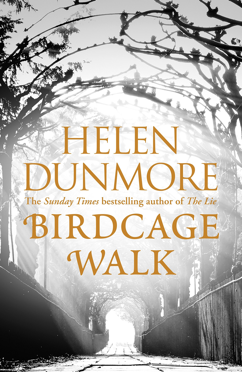 Probably best if I don’t give too much more away, but it is a skilful imagining of life in the Georgian city, and if nothing else there are lots of nice descriptions of walks on Downs in all weathers to inspire you to get out and explore the city for yourself. If you’ve got your own suggestions of good books on Bristol’s history then please leave a comment below, as I’d love to have them. This entry was posted in History and tagged marooned monographs, maroonedmonographs by manyheadedhailwood. Bookmark the permalink.